I Don’t Want To Feel That Weak And Insecure: Transgender Dysphoria Blues Is A Triumphant Return For Against Me! This review is a bit late, but since I saw Against Me! at the Trans March after show during World Pride last month, I wanted to review their newest album, Transgender Dysphoria Blues. It came out in January and is the first release by Against Me! 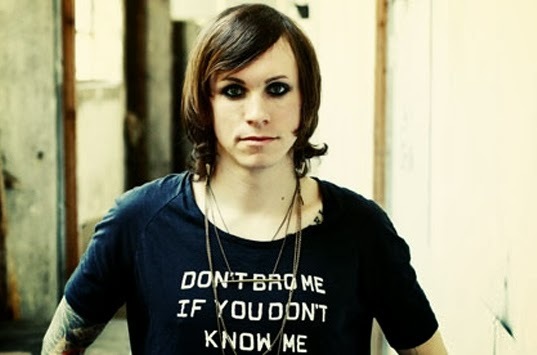 since the lead singer, Tom Gabel, has started medical transition to become a woman, and now goes by Laura Jane Grace. It is also the first Against Me! album, and third overall release, on Laura’s own record label, Total Treble Records. To the joy of long time fans, Laura has decided to continue singing in her original male voice. She is also the main writer of the entire album, which is based around the story of a transgender prostitute, and Laura’s own struggles living with gender dyphoria since a young age. Throughout the album, the main protagonist goes from trying to dress like a woman (“Transgender Dysphoria Blues”, “True Trans Soul Rebel”) to trying to fit in (“Drinking With The Jocks”, “Fuckmylife666”) to her eventual downfall and death (“Dead Friend”, “Paralytic States”). Many die-hard Against Me! fans may not like the album because they have taken on a more mainstream punk sound, but they are still has rocking and even have thrown in a “folk-punk” jam, “Two Coffins” where Laura sings about eternal love while playing an acoustic guitar. ← White Fence- For The Recently Found Innocent: Have I ever told you kids about the sixties?